Trinity College Dublin is the latest Irish university to offer free fees and other supports to students living in direct provision to help them pursue third-level education. The university's academic council has approved four four-year scholarships, for each of the next four years, for asylum seekers and refugees. As well as free fees, they will receive a €1,500 a year, a laptop and free meals. It follows similar lines to what is on offer in universities with University of Sanctuary status in recognition of their efforts to make higher education more accessible to people living in direct provision. Without such initiatives, asylum seekers and refugees are treated as "international students" and would be liable for fees, well beyond even the €3,000 a year paid by Irish and other EU students, while the additional supports make the difference between being able to attend college and not. 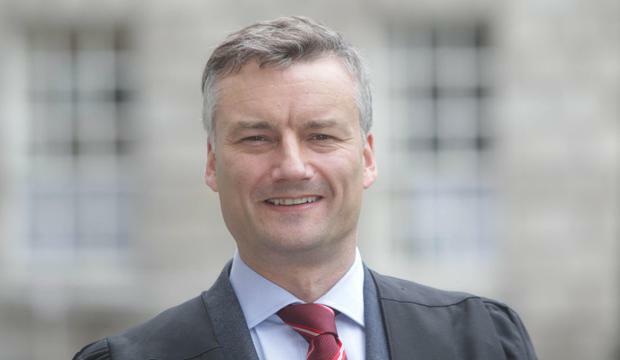 Dublin City University (DCU) University of Limerick (UL), University College Dublin (UCD) and University College Cork (UCC) have "sanctuary" designation, while NUI Galway and Maynooth University are pursuing a similar status. The University of Sanctuary concept goes beyond financial support and includes measures such as outreach programmes in direct provision centres to raise awareness and encourage participation in higher education and English language classes. Trinity is not pursuing University of Sanctuary designation but is interested in building on the scholarship programme approved by its Academic Council yesterday. In an interview with 'Hot Press' magazine, published today, Trinity Provost Dr Patrick Prendergast said: "We want them here. They would add to our diversity and bring brains, intelligence, commitment and motivation to the university." The push to make Trinity accessible to asylum seekers and refugees came from the TCD Students' Union, which has also been campaigning for an end to direct provision for a number of years. TCDSU president Shane De Rís said: "In a perfect world we wouldn't need this, but this is just a small step towards bringing this inhumane system to an end." DCU, Ireland's first University of Sanctuary, offers three different types of sanctuary scholarships, both for on-campus students and those who are pursuing online programmes. Its five campus-based undergraduate scholarships are available each year to full-time students, one in each of the five DCU faculties. UCD's programme of supports for people living in direct provision, which covers both undergraduate and post graduate study, has grown from four students in 2017/18, to a further 24 in the current year with another 30 next year. In the current academic year, UL increased the number of scholarships it awarded to refugees and asylum seekers to 30, including 15 new four-year scholarships for undergraduate arts and business students. Meanwhile UCC launched its "sanctuary" programme last year with seven scholarships and a pledge to grow that number. The University of Sanctuary Initiative at NUI Galway included three undergraduate "sanctuary" scholarships this year.